Have your wedding, reception, corporate meeting, party or special event at Stanley Park. Whether it's Wedding Reception, Bridal or Baby Shower, Anniversary Party, Family Reunion, Birthday Party or Company Picnic you can plan to have it with us anywhere in the park. To book your event, please contact the Park Office at (413) 568-9312 extension 100 or 101. 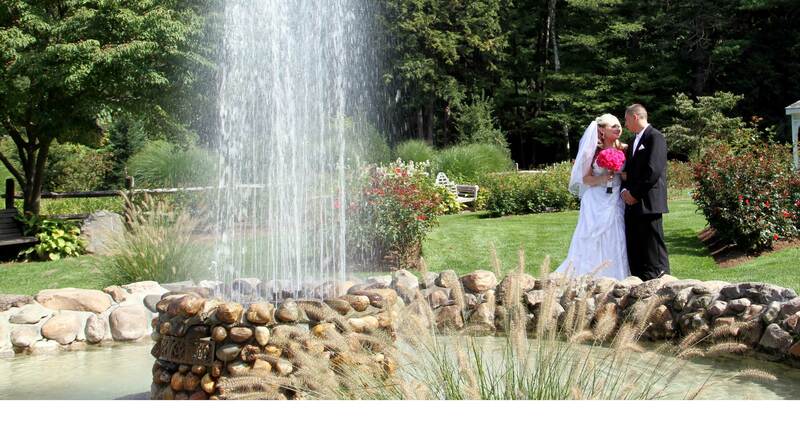 Have your wedding ceremony at any of our five garden sites. Weddings can also be held at your special location at the Park. Please call the Park office to discuss. Wedding receptions can be held in one of our sheltered pavilions or our historic Meeting House. The Park office books reservations for both the current year and the following year. To view pictures of our Pavilions please click on the links above. For more information regarding fees and reservations see our Schedule of Fees. You may also contact the Park office at (413 )568-9312 x100. Stanley Park is a great local location to have your business meeting, conference, guest speaker or corporate retreat. Our Beveridge Pavilion with a stage, sound system and Wi-fi, along with a state-of-the art kitchen, can comfortably seat 300+ in a banquet-style setting, 184 in a conference style setting, or 460 chairs in a lecture. We also have our more rustic Beveridge Pavilion Annex for smaller businesses, as well as 300 acres of Park, Sanctuary and Athletic fields available for corporate retreats. As a local non-profit organization, Stanley Park seeks to help serve other non-profits and organizations in the community. Our Athletic fields & Wildlife Sanctuary play host to fund-raising walks and runs, local youth athletic teams, and high school & college cross country meets.